At B+V Dock 11, Hamburg, Germany. Aft to aft with F225 both at B+V dock 11. Hi Steven. 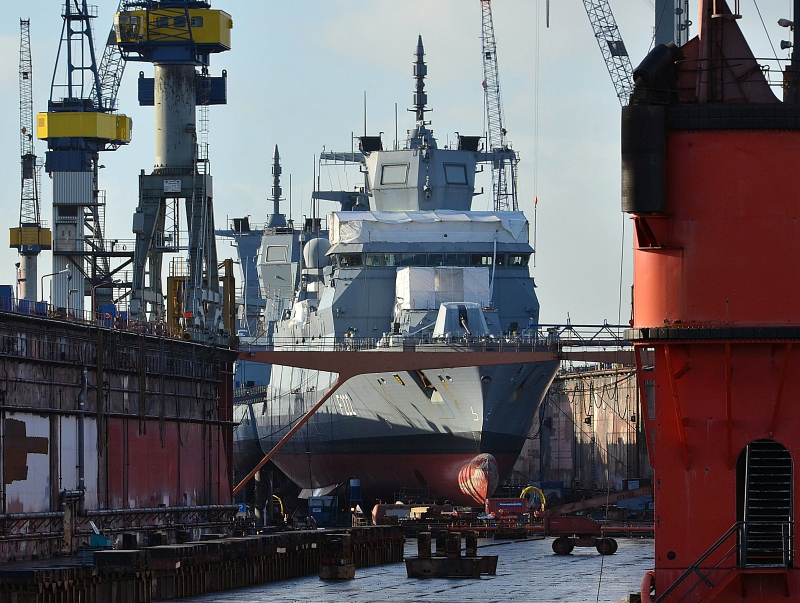 No, the Frigate that had the accident (the explosion of a SM2 inside the vertical launcher) was the F219 Sachsen from a different and older class than F222 (new class). About your second question, really no idea about. Is this the ship that had the SM2 explode on her? And do you know what the German navy has decided to do with the F225 and her sisters?